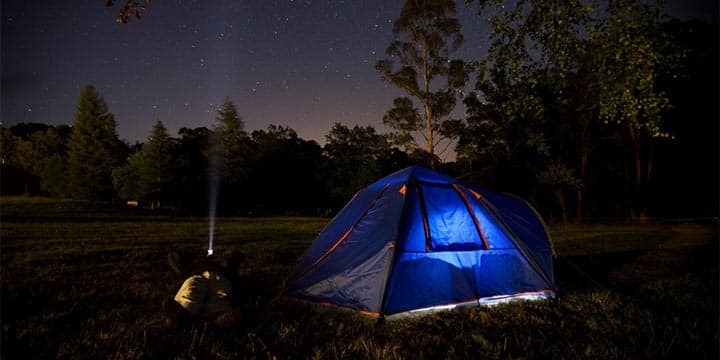 When planning for a day out, either on a hike, running on your favorite forest trail or light backpacking protecting your feet is the most crucial thing. Trainers might suffice if you are planning for a simple stroll but if anything slightly more adventurous like serious hiking, you are going to need a good pair of hiking shoes. 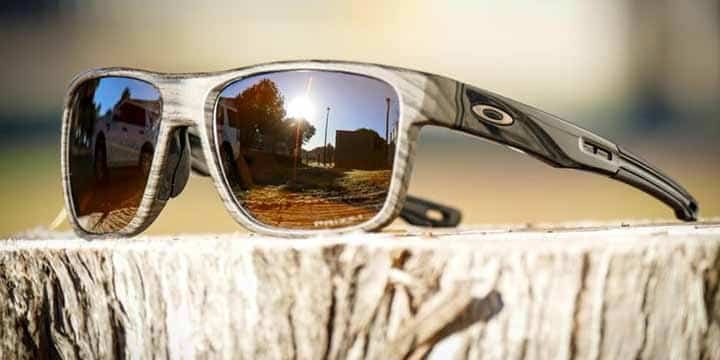 If you have no idea how to choose, remember that they must be a durable and waterproof pair designed specifically to beat tough outdoor conditions. 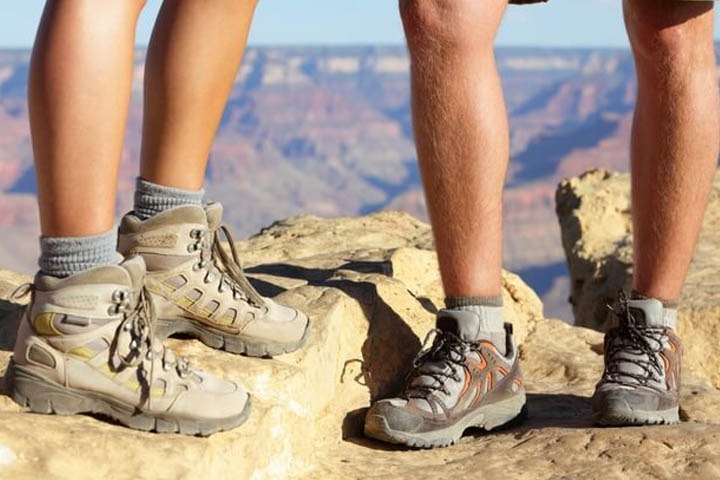 Hiking shoes are your first point of contact with the ground, so when choosing the best hiking shoes select something that provides you with a good level of comfort and support. The pair should be your life safer in long walks and bad weather, they should have you happily hiking in rain or sunshine. Usually, hiking shoes tend to be expensive but they are worth the pay. For a light and nimble alternative to hiking here, we have picked top best hiking shoes for men. With their latest release- the Moab 2, Merrell promises their users super comfort and durability. The Moab Merrell’s men hiking shoes are ideal for hikers who prefer easy and moderate day hikes where the shoes are designed to give hikers ample comfort and support. 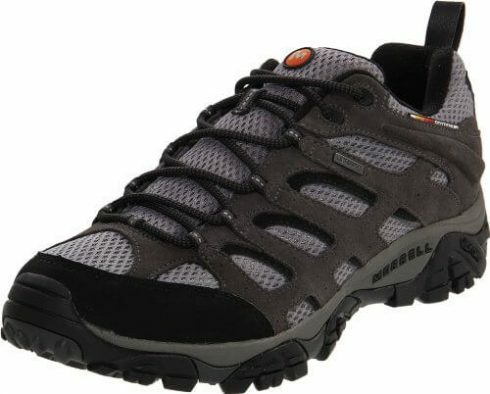 Moab Merrell’s men hiking shoes comes with a lot of great features that make them favorites among many hikers. For instance, they have a Dura leather and nylon mesh upper that is flexible, breathable and supportive for durability. They also came with a bellowed. padded tongues that keep debris away, Eva heel and mid-sale pods that absorb shock and cushion the feet and a 5mm out-sale lugs that help in surface traction. 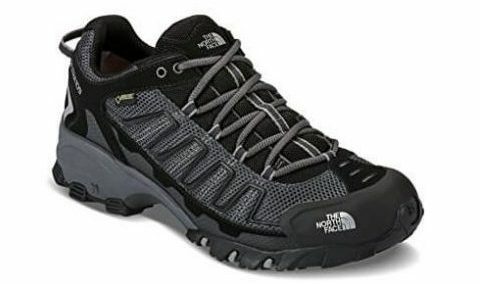 The Targhee II men’s Hiking Shoe is a top seller an Amazon. Here comes a unique boot that arrives with an exceptional design and shape that offers you an all-around performance to your feet. Their most outstanding features include a five-color combination that is the craven/ tortoiseshell, chestnut/ Bossa nova, black olive/ yellow, magnet/ true blue and lastly the shitake/ brindle color. Targhee II men’s Hiking boots enlist a lot of features you can expect in any decedent pair of hiking boots. With excellent traction and stability, excellent padding, a high protective sole and toe guard and a wide comfortable foot box don expect anything other than extreme performance out there. Anything from beaches, mountain trails or even streets the Targhee II men’s Hiking boots has a proven record of good performance and is recommended for use across all varieties of trail surfaces. 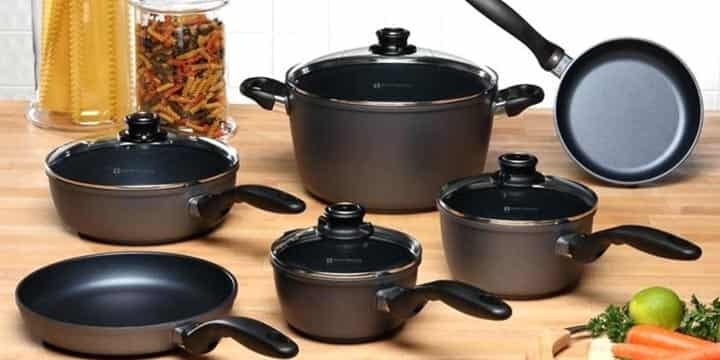 It available an Amazon with prices ranging from $94.0 to $156.95. Not the best option for longer hiking e.g. backpacking, etc. If you are looking for a light trail runner with a strong command of stability and structure of a hiking boot, then the Salomon Men’s X Ultra Mid 2 GTX Multifunctional Hiking Boot makes a perfect compromise for you. Main outstanding features that make this pair quite unique include: leather/ guessed tongue that eliminates debris from getting into the shoes, lacing up with speed hook hardware featuring a breathable mesh panel, a sensifit that cradles the foot from the midsole to the lacing system and lastly a sleek design that gives your feet a secure, snug and virtually customised fit around your feet. The boots display great performance in relation to feet protection, support, traction and comfort fit. Some other pros include the fact that the shoes command a great mix of support and flexibility, they have an incredible fit for narrow, wide and normal feet and lastly, they have a very durable upper and soul. Adidas is one of the top sportswear manufacturers in the world and with the Adidas Terex hiking shoes, don’t expect anything less. The boats come great waterproof, comfort, traction, no tie laces, reflectors, and lightweight features. Their unbelievable comfort enhances the shoes’ appeal making one of the most favorite pairs of boots out there. One interesting feature is that these boots are not only designed for hiking they can be used on running trails too. 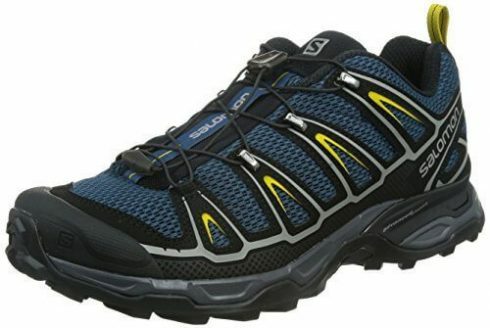 The Salomon Men’s XA Pro 3D hiking and running shoes are one the best-selling boots from the Salomon line of hiking shoes. 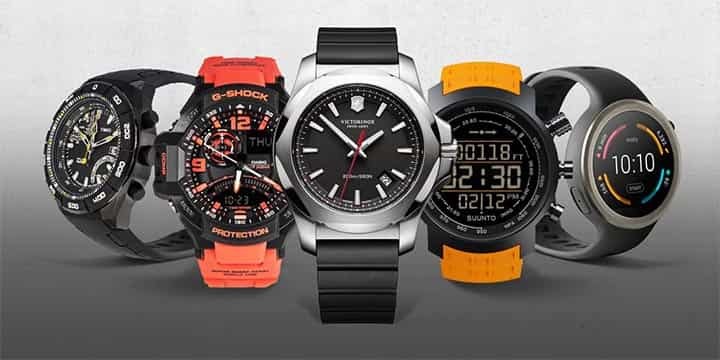 In fact, they are among the top brands in the world when it comes to running or hiking. This shoe features the latest technologies to come up with exceptional designs specifications. The boots are ideal for all weather conditions, they are lightweight in nature, has a dependable waterproof design and has an impressive lacing design. Their downside is that they are really expansive to acquire, and the same user has complained about minimal shock absorption at the heel region. 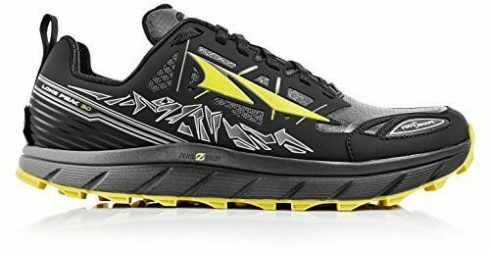 While this shoe was initially intended for trail running it has significantly made a mark among hiking lovers as a lighter alternative to the usually heavier standard hiking shoes. The pair comes with a heavy lugged sole that gives them a tractions edge over the standard versions. Their unique foot shape and toe box design mean that your feet can fully play in keeping you more comfortable when you are out on a long hiking adventure. Their downside is that they feature a lacing system that tightens in front of the foot right over the metatarsals that often cause some discomfort. The shoes also have some breath-ability issue given their overbuilt and restrictive upper part. This is a perfect hiking shoe for those hikers seeking to purchase a boat that will serve them for a longer time as they enjoy nature and its beauty. While we have many hiking boots for purchase out there this shoes has managed to make it at the top gaining popularity from many consumers. But why is it so? The pair strikes a balance between its design, performance as well as its functionality to come up with its unique features. Its key features are: it features a lace and fasten up lacing system for a better fit, it features breathable the membrane on its upper part for adequate ventilation, it also features adequate padding that boosts it comfort lastly it is waterproof and can withstand strong weather conditions. Its downside is that they are very poor at surface traction so you should be seen when using them too rough terrain. 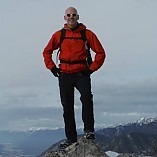 The Vasque mantra 2.0 hiking boots are fairly a superior product when it comes to hiking shoes. The pair features a great design including nubuck and meshes for the upper part, Gore-TEX lined the interior that promises users ultimate protection against water, durability and a breathable environment. A padded collar and tongue for more comfort and Perpetuum that offer users a steady structure for long adventures. And if you’re a little nervous about making the transition from boots to shoes, these are an ideal stepping stone. With a Gore-Tex lining, leather upper and rubber soles, these robust hiking shoes are also a great choice for hiking in wintery conditions. This guide has everything you need to know about how to choose the best one, so let’s take a look at how to select the perfect pair of boots for your outdoor adventures. 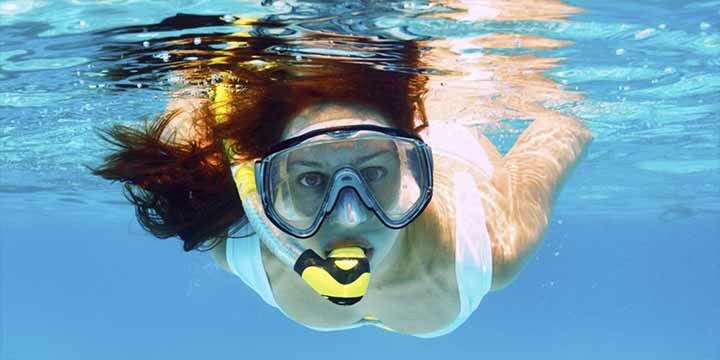 The first consideration that must come in one’s mind is the outdoor climate, season and weather. Different hiking shoes are designed for different sorts of weather and a person feels ease when proper shoes are used for suitable climate. The second thing a person must consider is the weight of the shoes. These class of shoes usually are heavy and are designed for different height and weight of a person. A person must choose the one which supports him in hiking and provides the maximum amount of comfort. The third tip is that for how long a person needs those shoes. Usually, a costly pair of hiking shoes can be used a little more than the one which is cheaper but this depends on the mindset of a person that for how long he wants to make use of those shoes and how much he wants to spend. One of the main things to keep in mind when a person goes to buy new hiking shoes which a lot of people don’t know is trying on boots later on during the day because your feet tend to swell as you’re standing and walking around so knowing that your feet are going to be a little bit different even a half size different later in the day is going to be really helpful when you tire at the end of a hike so trying on shoes later in the day definitely helps. A lot of the people come in the shops and try those shoes with a dress sock but that’s not the sock you’re going to wear during your hiking trail. It’s not going to work as it’s really thin and then the boots going to fit completely different at that point. So bringing in the sock that is suitable for hiking and thick is extremely important. Last and the most important tip is that some shops do offer an Incline ramp to check the working of shoes. Incline ramp is extremely crucial when trying out new shoes. You definitely want to lace your boot up like you’re going to wear it and then start at the top and kind of stutter step your way down and make sure that your toes are not hitting the front because if they’re hitting the front four or five steps down to Incline rap, they will be going to hit on the way down from a mountain and then you turn around and walk back up and make sure that your heel isn’t slipping in the back because that would cause a blister completely. Every as soon as in a whilst we pick out blogs that we study. Listed below would be the most up-to-date web-sites that we decide on.